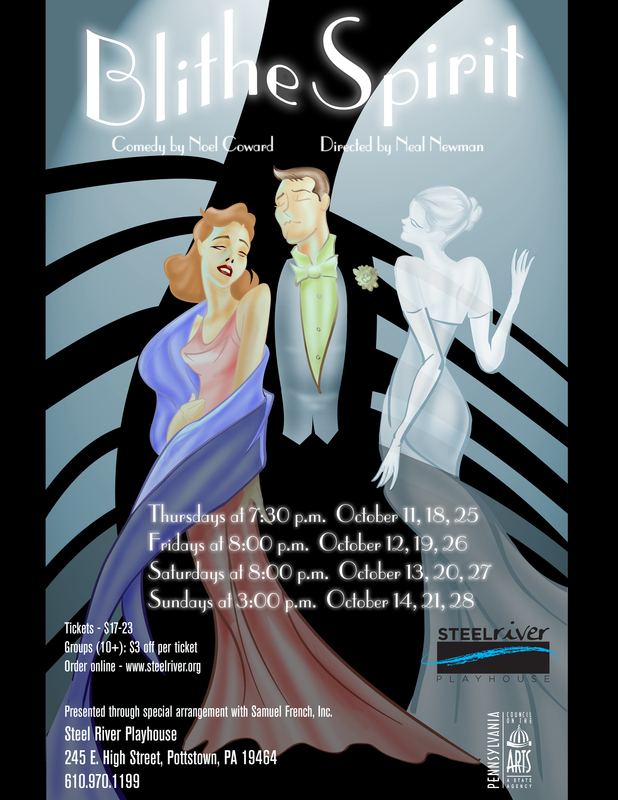 Blithe Spirit, one of Sir Noel Coward’s enduring comedy classics, opens at the Steel River Playhouse this Thursday, October 11. In Coward’s Blithe Spirit, gentleman and writer, Charles Condomine gets himself into this pickle when, as research for his next book, The Unseen, he dismissively arranges for a séance by a local medium. When the ghost of his first wife nevertheless appears, alternately and desperately, he tries to make peace, “Why can’t we all get along?,” or to return things to the way they were. Coward and his characters are forthright, frank and witty. As a result, audiences revel in the unintended consequences and surprises unleashed as relationship secrets take center stage. While Blithe Spirit is very funny and lighthearted, Coward had a serious intent while writing it. A great celebrity in his day as an actor, playwright, songwriter and style-maker, Coward also was a patriot, helping Great Britain during some of its darkest wartime hours in 1941. He wrote Blithe Spirit and got it produced quickly to lift the spirits of his countrymen. It delighted audiences throughout the war, especially soldiers about to ship out. Coward’s great wit, his writing, and his Shakespearean sense for tormenting his characters make his work as funny and appealing today as it was in wartime Great Britain. Blithe Spirit will be performed Thursdays (October 11, 18, 25 at 7:30PM), Fridays (October 12, 19, 26 at 8PM), Saturdays (October 13, 20, 27 at 8PM) and Sundays (October 14, 21, 28 at 3PM) on the Main Stage. Special Event: Sunday, October 14 – Talkback with the director and cast. Tickets range from $17-$23. More information and a ticketing link are available at www.steelriver.org or by calling 610.970.1199. 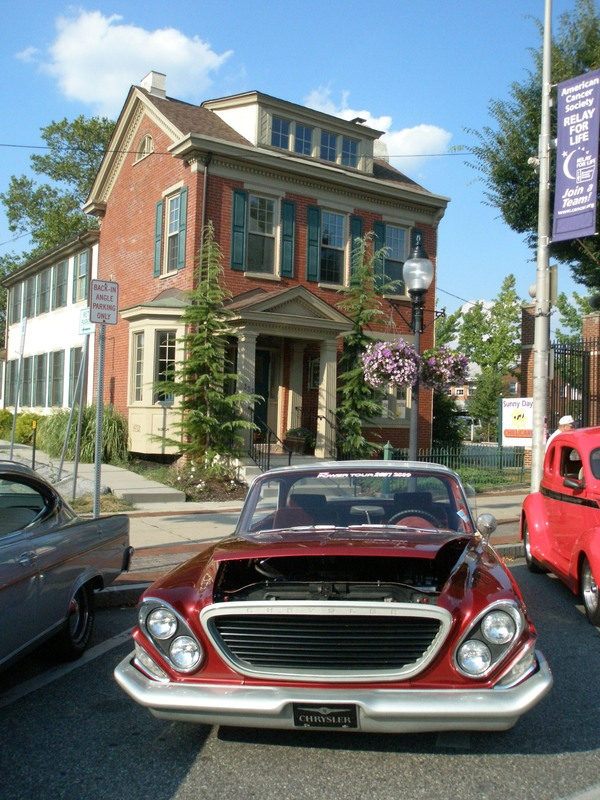 Formerly Tri-County Performing Arts Center (Tri-PAC), Steel River Playhouse seeks to strengthen community, inspire creative exploration, educate, and entertain, through the presentation of quality performing arts events and education for diverse audiences. Each year, the Steel River Playhouse produces more than 90 performances and hosts more than 10,000 people as audiences, students, artists, donors and volunteers from throughout the region. We offer performance opportunities through open auditions; theater technical training; acting, voice, and instrumental lessons; classes and workshops for all ages; summer camp programs; and educational outreach including scholarships, artists in the classroom, traveling children’s shows, and other initiatives. For further information, visit www.steelriver.org, or call 610-970-1199. Calling all singers, musicians & actors in grades 9-12: Win $1,000!